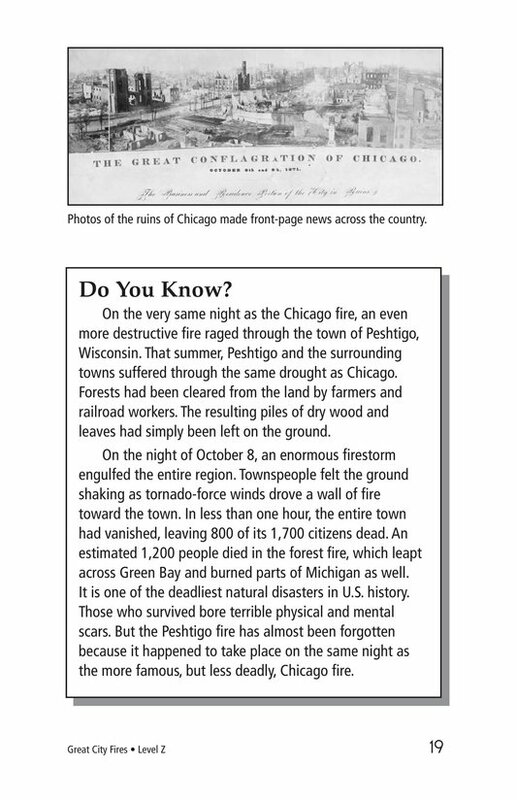 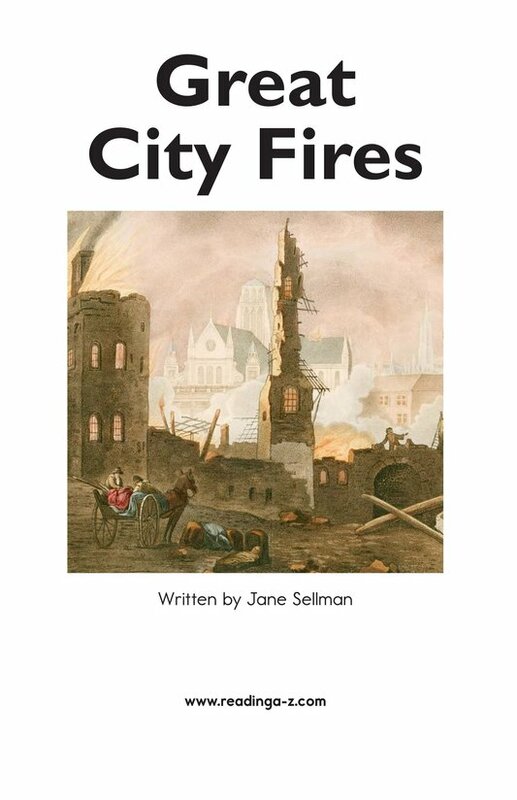 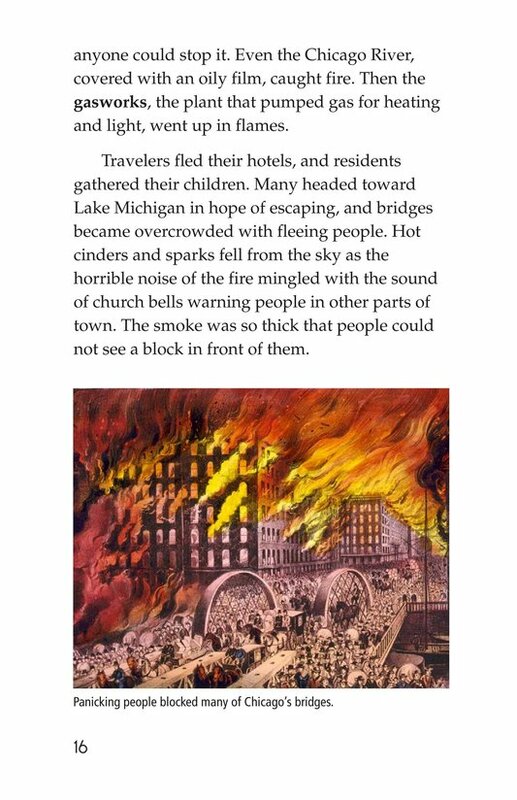 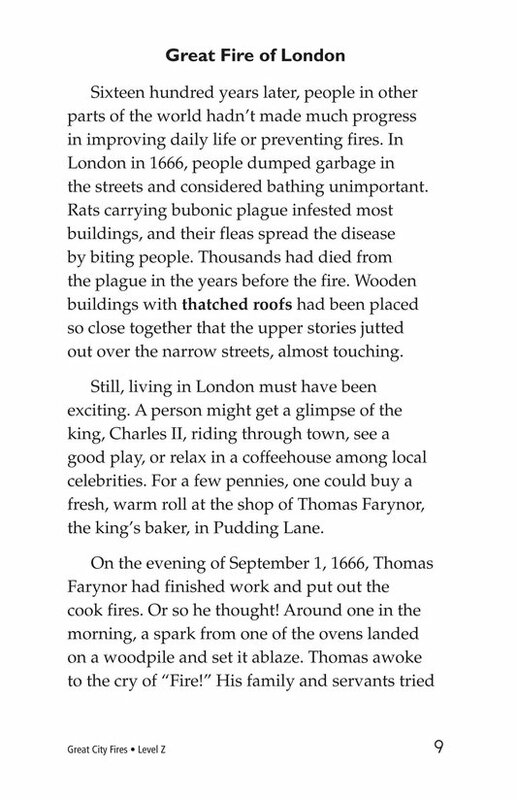 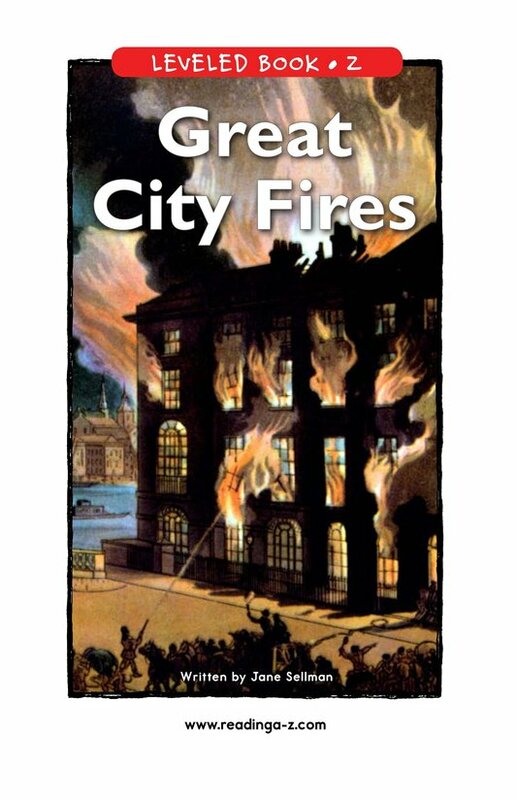 Thrilling historical details and descriptions of city life of the past enhance the stories of three major urban fires. 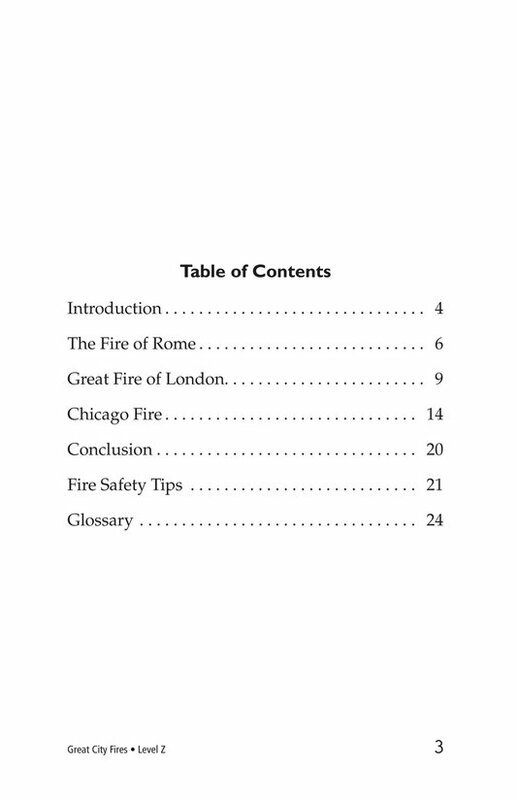 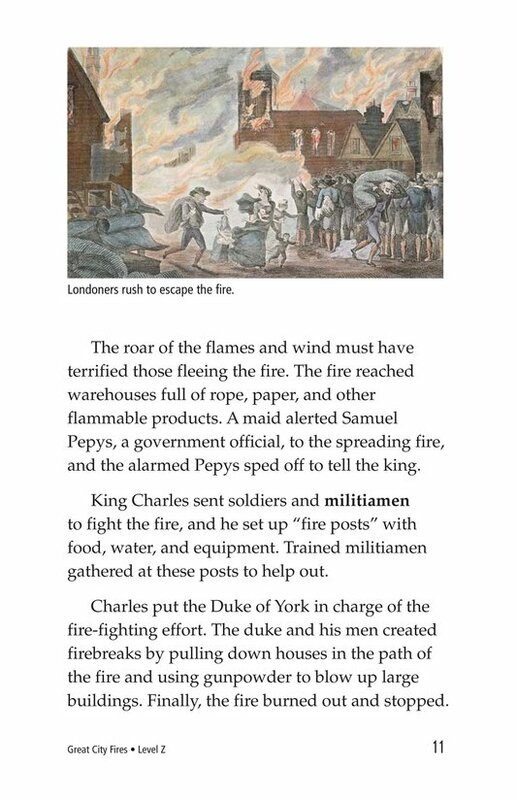 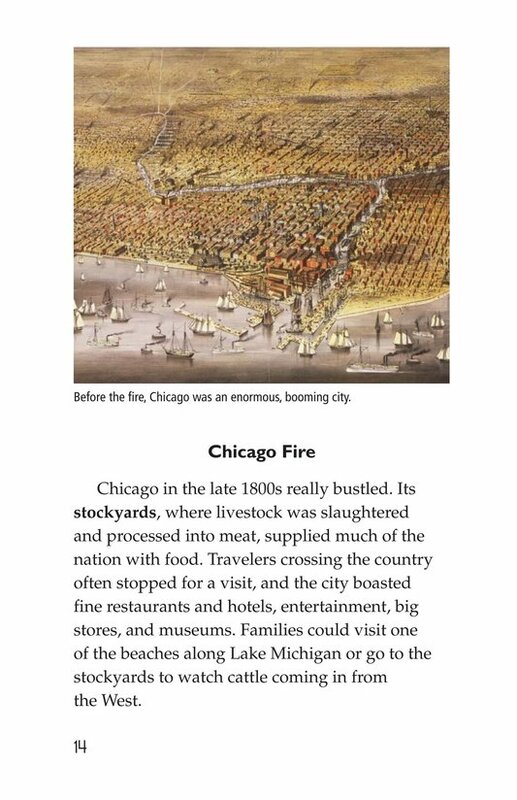 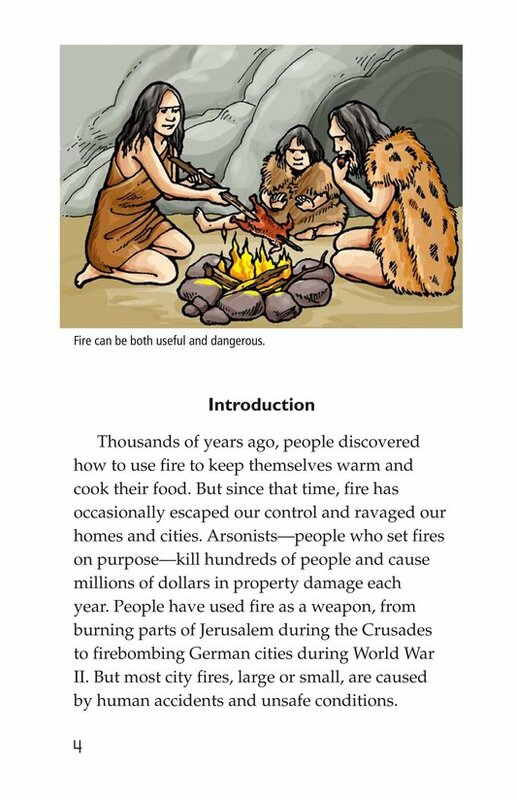 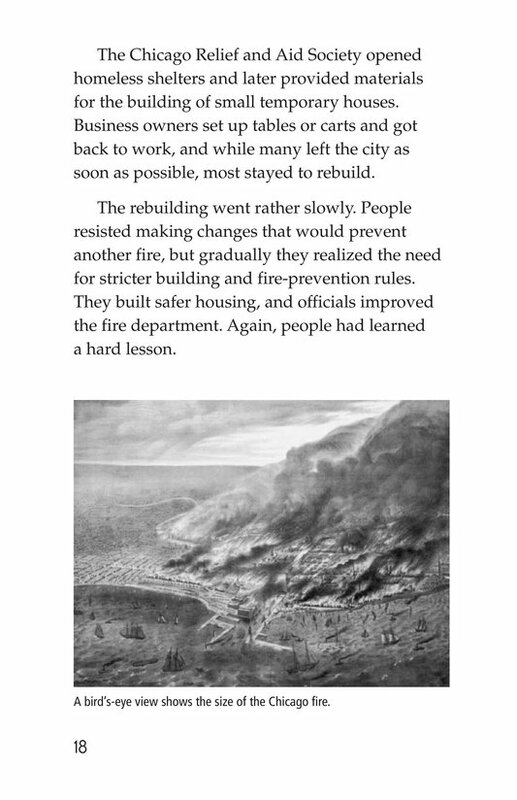 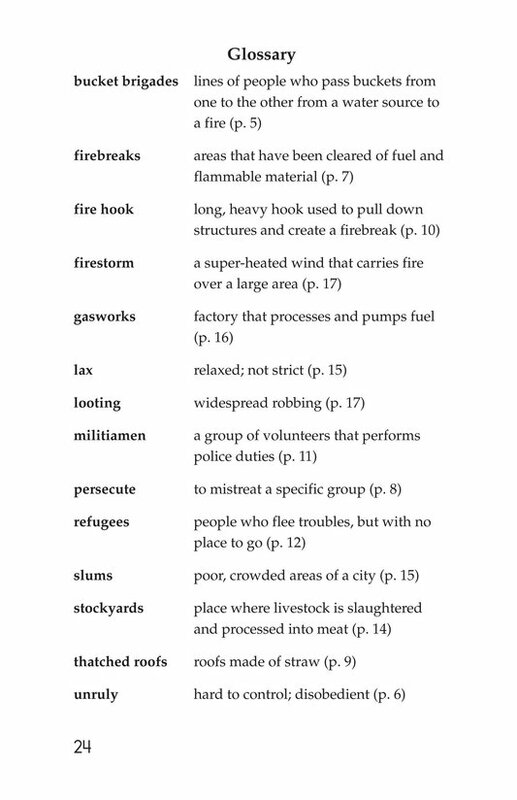 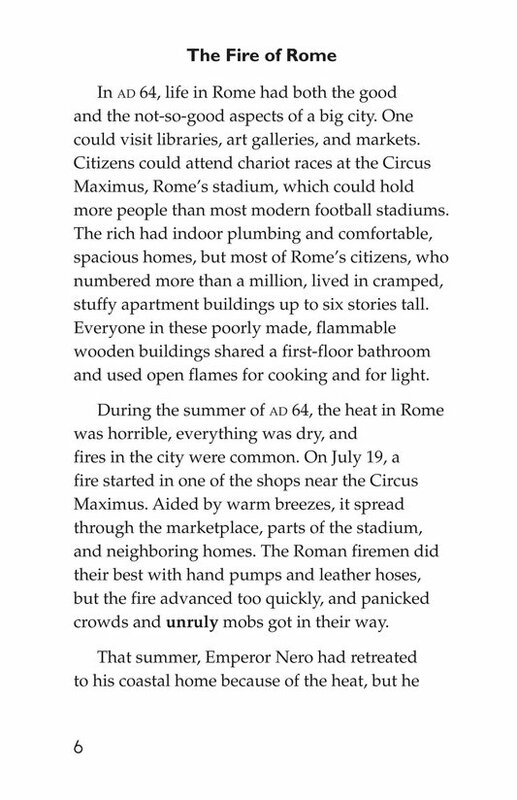 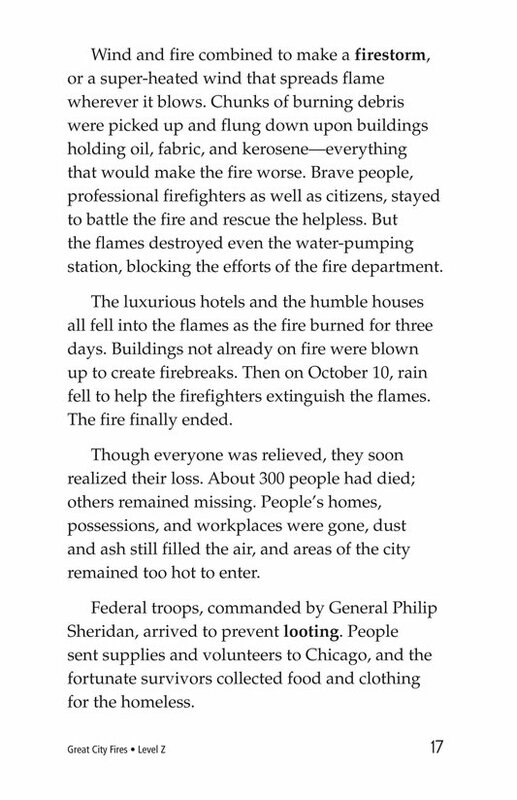 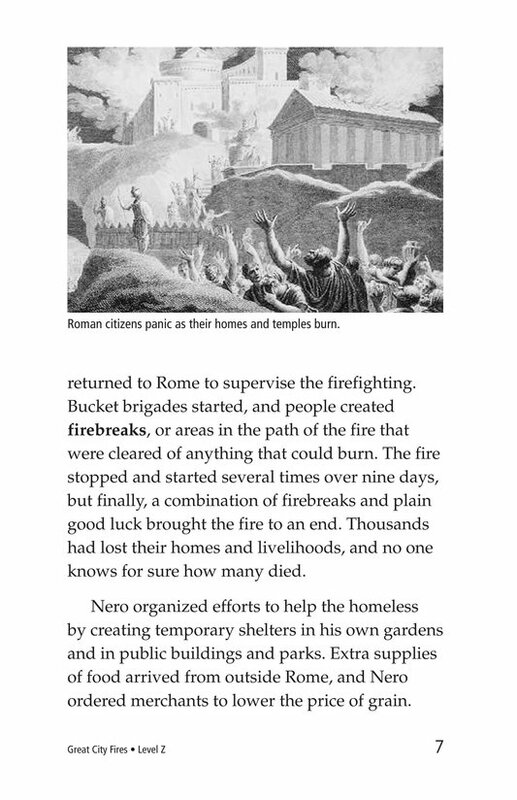 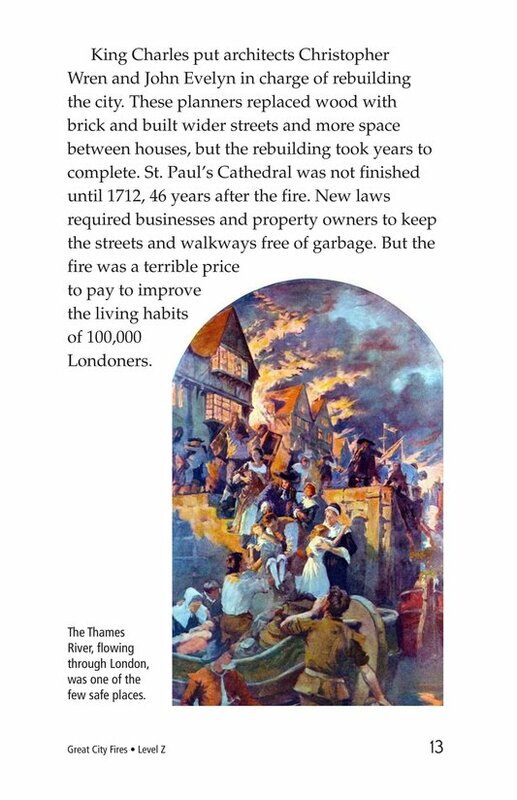 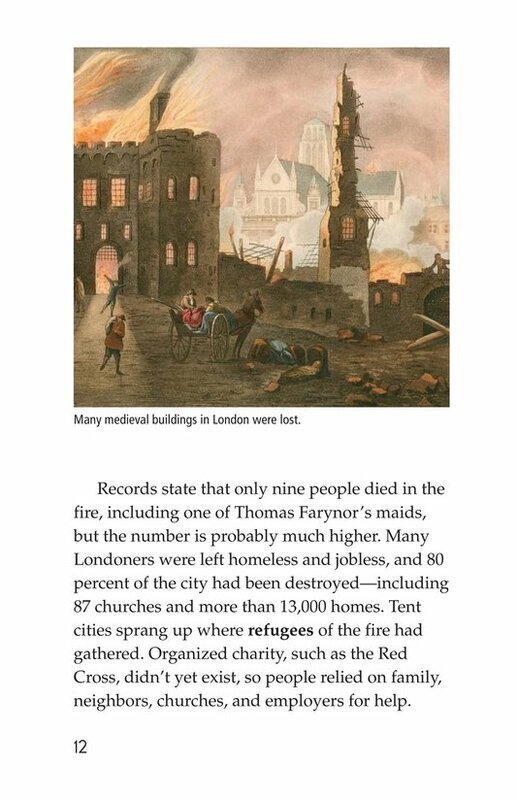 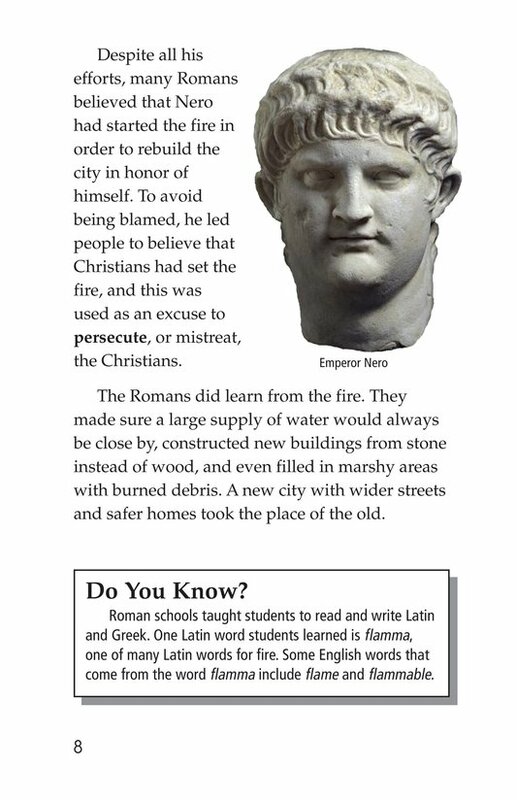 The fires of Rome, London, and Chicago led to tragic loss of life and property, but as the text shows, they also led to reforms and the fire safety our cities use today. 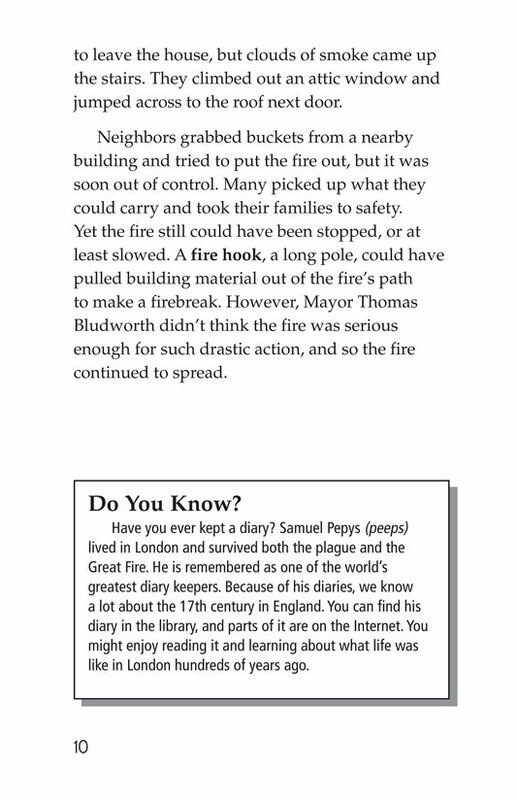 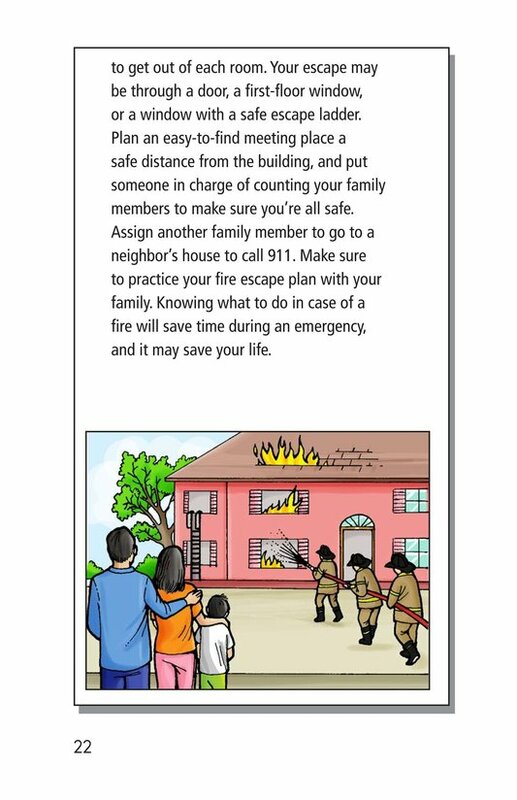 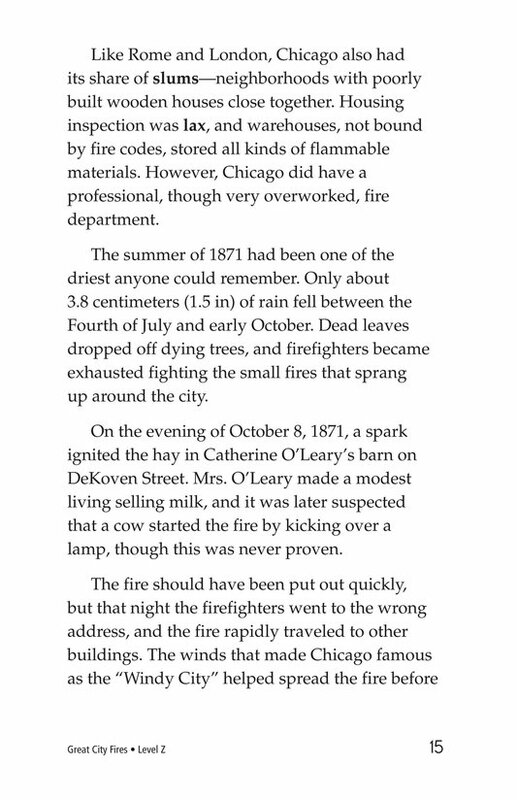 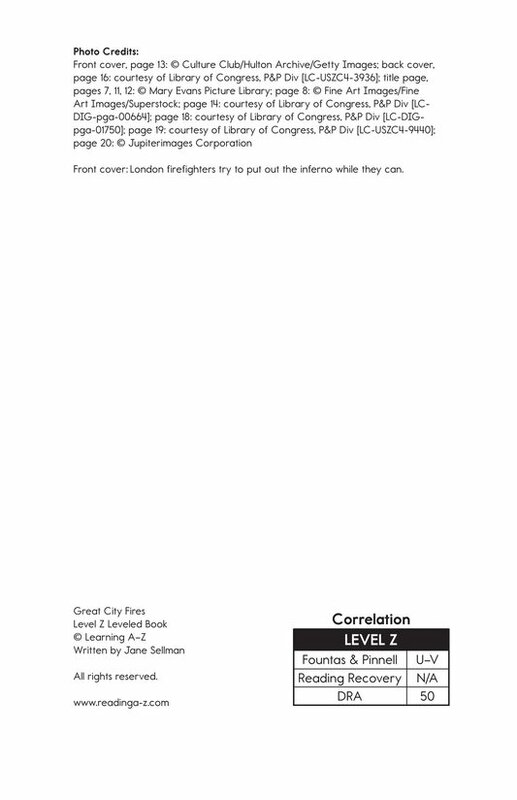 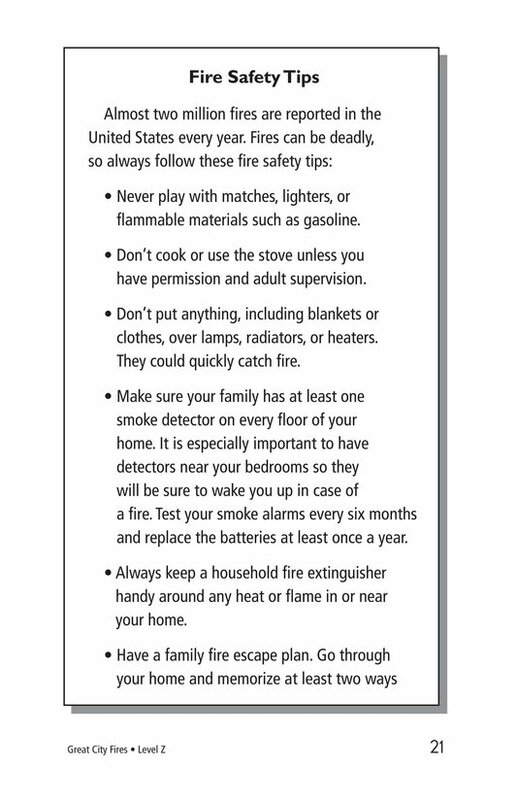 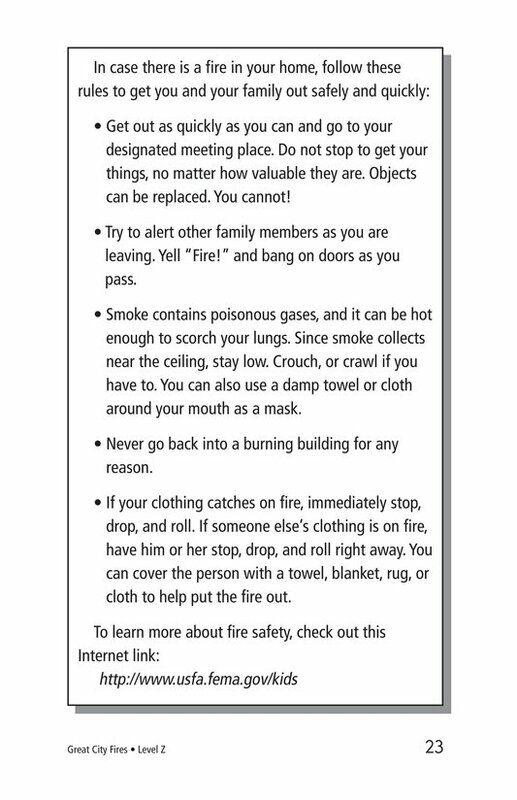 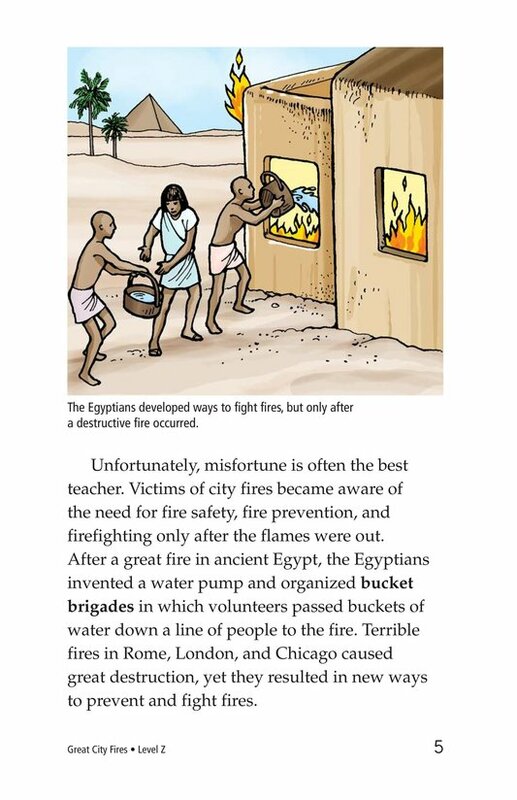 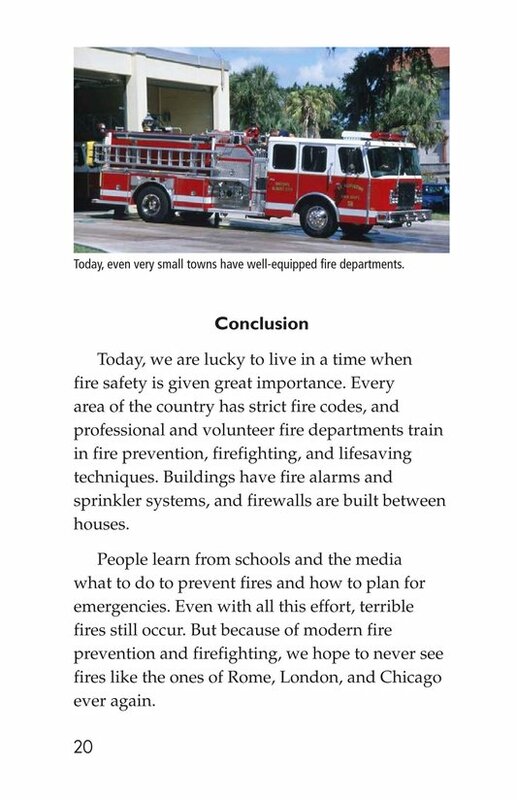 Fire safety tips conclude the book.